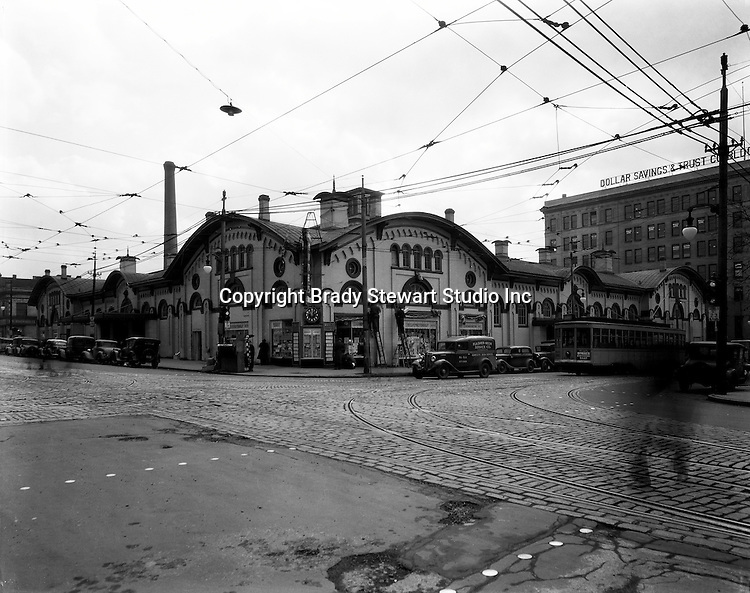 Pittsburgh PA: The North Side Market House was located at Ohio and Federal streets. Fresh fruits, vegatables, breads and meats were available for wholesale and retail customers. There was a sister Market House across town in East Liberty - 1936. The Market House was razed in 1965 to make room for the new office and mall complex, Allegheny Center.